The wedding day is full of fun and frolic moments when one is going to start a new phase of their lives. To make some memories with our better halves, we hire luxurious limousines with all the required amenities. Limousines are classy and add a sparkling style to your special occasion. 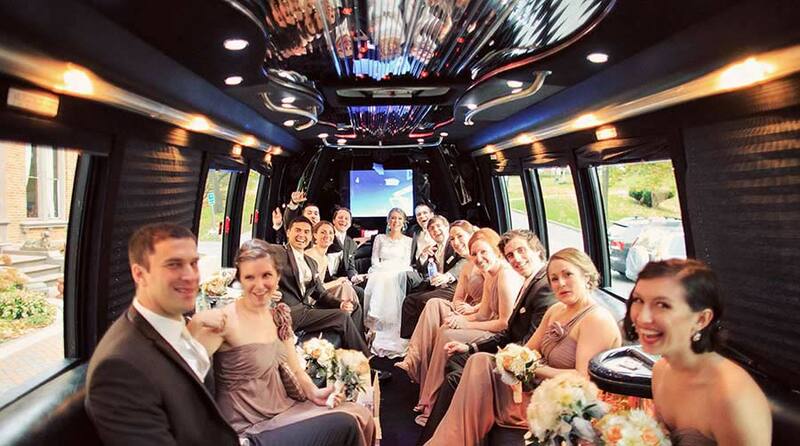 If you are looking for a limo rental company in Toronto, GTA Party Bus is a perfect choice as they are equipped with necessary amenities for weddings and occasions.. We have the exclusive party bus rentals and high-quality limousines. But before renting a limo from a company, one must ask some important questions. Do you do proper background checks and drug testing of your staff? It is the most important question to ask when connecting with a limo rental company. Whether you are traveling on your own in the limo or may be your kids, colleagues, or friends, you really must have all the details of the chauffeur. Whether the driver is licensed and insured is important. At GTA Party Bus, we do a proper examination and complete background check including driving record, drug testing, and check proper documents for the past employment. Good and professional limo companies usually have ex-military drivers or past law enforcement officers. Whether it’s your own car or owned by someone else? Connect with the company over the phone and ask them to send a photo. If you don’t get a picture in a few minutes, chances are that the company do not have their own cars. They have the limousines and party buses on rent. If a company doesn’t own the car, it is difficult to be sure about the condition when it arrives for your special event. Where can I find your testimonials or reviews? Ask the company where you can find the customer reviews and feedback. Also, it is a better idea if you can connect with any of their old clients who have already experienced the service. This is a good idea to be familiar with the service. Search on Google and check the ratings. Check with the company to make sure that they have the necessary insurance and the proper documents. It is important to analyze whether the company is professional and delivers quality service. Nobody wants to spoil the special moments on their big day. What is the cost including the hourly rate, driver gratuity, and any other fees? After safety and covering important questions, ask about the hourly rates of the company. It is important to know any extra charges for fuel and parking. What are the minimum hours for hire? Does the start time include travel time or does it begin at pick up? Is there any tip or gratuity added for the drivers? Feel free to ask the limo company all important questions. You and your loved one’s safety is must. Arrive in style at your special event.